Ice climbing in Alaska felt impossible, but I finally made it to the top! PTSD is an invisible monster. It disguises reality. When I was sucked into what I learned to call the trauma vortex, I often couldn’t distinguish between what was real and what wasn’t. I thought I was going crazy. PTSD told me this over and over again: You’re not safe. You never will be. Being dead would be better than living one more day like this. The message from my illness was clear: Give up. Fortunately, thanks to my prior, hard-fought—and victorious—recovery from an eating disorder, I knew that feelings of hopelessness and helplessness are just a part of mental illness. At one point or another, most of us who struggle believe that we are too far gone to ever get better. 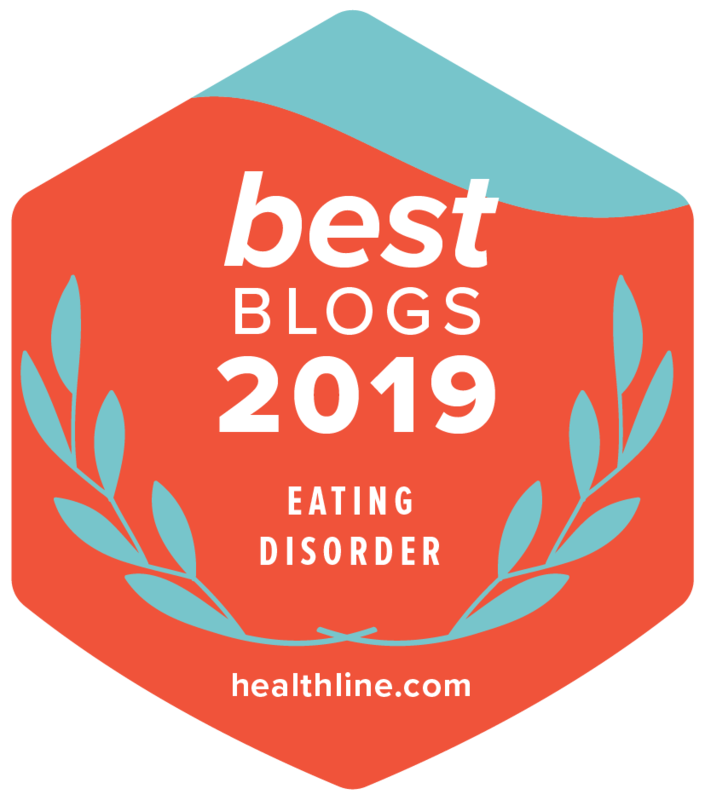 While I have written about my eating disorder recovery in several books, my battle against PTSD and its accompanying and unrelenting depression are lesser known. I haven’t spoken much about this experience yet, because for so long, I didn’t even know that I suffered from trauma, much less PTSD. To continue reading, please click here for the original post on the Anxiety and Depression Association of America website. Yes, You Can Beat Social Anxiety – and Your Eating Disorder!